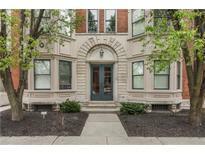 Find Downtown Indianapolis, IN Condos for sale. View Photos, Maps and MLS Data Now! Allen Plaza - This unit, built in 2016, looks brand new! Hurry, won't last long! MLS#21635066. CENTURY 21 Scheetz. The renovated Glove Factory building has environmentally friendly geothermal heating and cooling, lowering utility bills significantly. MLS#21635312. Plat Collective. 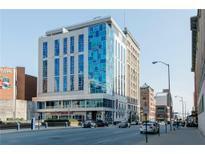 2020 development next-door will bring boutique hotel/fine dining and Bankers Life is being renovated! MLS#21633766. Plat Collective. Shelton Condominiums - Laundry in unit and common storage area in the basement. MLS#21632909. Plat Collective. Renaissance Flats - This unit includes in-unit laundry, garage parking, secure entry and outdoor living space. MLS#21633758. Litz Real Estate. Mill #9 Lofts - The photos are good but you need to experience the big picture to really understand everything this home and lifestyle offers. MLS#21632049. 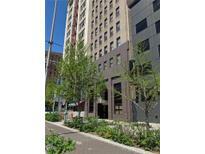 Indiana Realty Pros, Inc..
Renaissance Place - Enjoy downtown living in this quiet, tree filled neighborhood. You will love it here! MLS#21633018. RE/MAX Centerstone. Washer and dryer hookups in oversized laundry room. 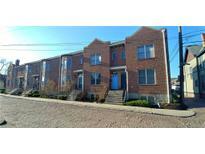 MLS#21632733. Triumph Realty Group. 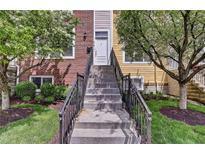 Meridian At 21 - This area is in hot demand and this will not last long! MLS#21632354. F.C. Tucker Company. Renaissance Tower HOA fee covers all utilities (including cable and high speed internet) except electric. Come take a look today! MLS#21631633. eXp Realty, LLC. Sophisticated 2 bedroom 2 bath condo in heart of Lockerbie / Mass Ave neighborhood* Quiet end unit w/ great light & neighborhood views* Walking distance to museums, galleries, restaurants, Banker’s Life Fieldhouse and Lucan Oil Stadium* Features include 10' ceilings, hardwood floors, home automation, automatic blinds, bar w/ wine refrigerator, private patio with Gas grill hook-up & heated garage* kitchen highlighted by painted cabinetry, Kitchenaid stainless steel appliances and center island w/ seating* Great room / Dining Room anchored by gas fireplace & bar* master suite w/ walk-in clst & private bath w/ large walk-in shower, double vanity & water closet* California Closets throughout* In-unit laundry* HOA includes water, sewer & gas* Second parking space available to purchase. MLS#21632006. F.C. Tucker Company. 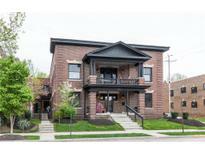 Historic Central Avenue - Enjoy urban-core, neighborhood living at its finest! MLS#21631817. Plat Collective. 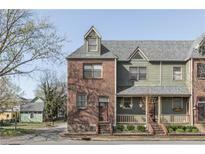 Historic Central Avenue - Home is complete with a 2 car detached garage. MLS#21631549. Mike Duncan Real Estate Group. 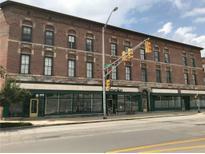 Three Mass Ave - Gym on 2nd floor & roof top available to tenants. MLS#21631352. Your Realty Link, LLC. New humidifer and high efficiency A/C installed in 2018! MLS#21629851. CENTURY 21 Scheetz. The property also has a wonderful fenced green space and patio area. Large TWO car garage too. MLS#21631036. F.C. Tucker Company.